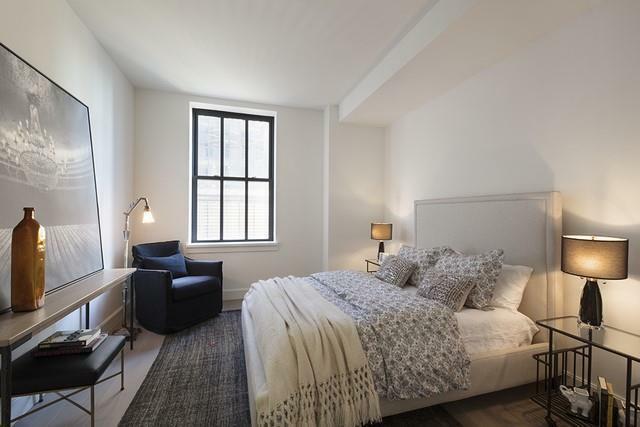 Residence 12N is a 1,584 SF split two bedroom, two and a half bath plus home office residence in the historic Ralph Walker building at 100 Barclay in Tribeca. 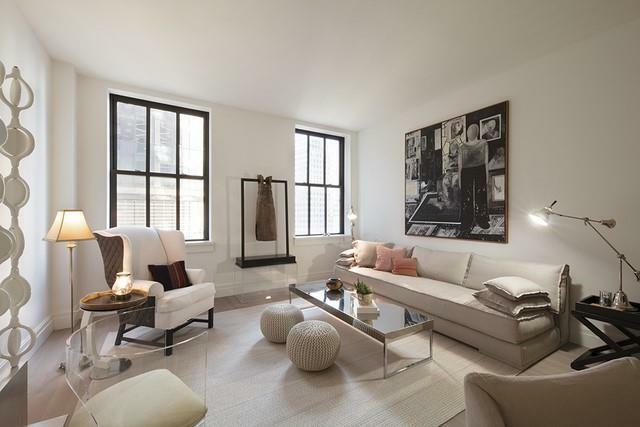 Enter past the open kitchen into an expansive great room featuring south exposures, over 10' ceilings, oversized double-hung windows and white oak flooring. 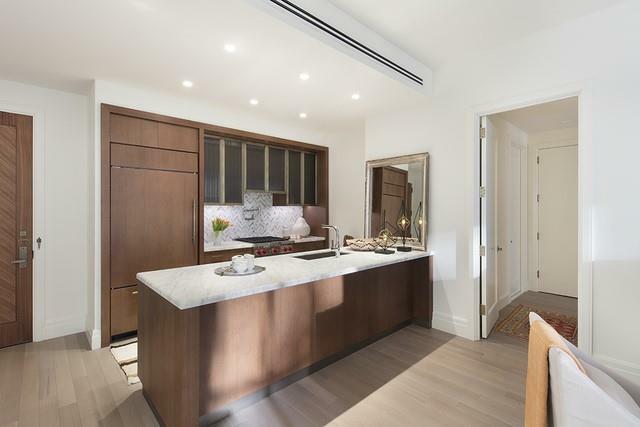 The custom Stevali kitchen features oak cabinetry from Italy, marble countertops and is equipped with a Sub-Zero refrigerator and wine storage, Wolf gas range with a vented hood, and Miele speed oven and dishwasher. 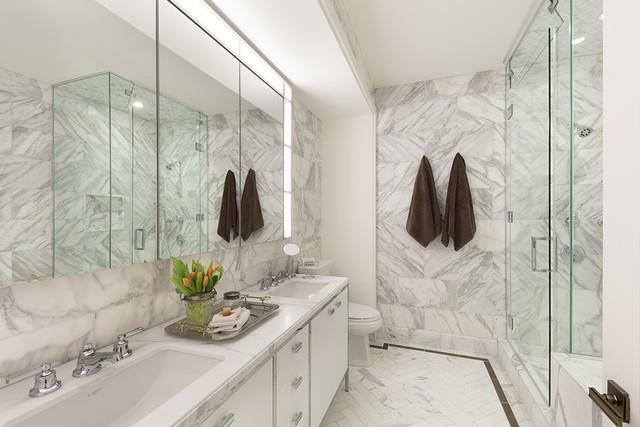 The master bedroom suite features three closets including one walk-in, a linen closet and a lavish en-suite bath featuring Waterworks fixtures and bathtub, custom designed double vanity, floor-to-ceiling Calacatta Gold marble and radiant floor heating. The second bedroom features ample closet space and a bath which offers Waterworks fixtures, Toto toilet and marble herringbone floor. Additionally, this home includes a separate home office. This residence is complete with a dedicated storage unit located on the same floor, multi-zone 4-pipe heating and cooling system, washer and fully vented dryer.100 Barclay offers an unprecedented 40,000 square feet of carefully considered amenity spaces which affords the most comprehensive offering in Tribeca, and a truly rare offering for any New York building. Services and amenities include: 24-hour doorman and concierge, fitness center designed by The Wright Fit, an 82-foot lap pool with adjacent wading pool, and spa and treatment rooms. At the club level on the 18th floor, the program expands to include the perfect entertaining spaces: billiards room, a club lounge with bar and dining area, four uniquely programmed outdoor terraces, kid's playroom, game room, media lounge, wine tasting room and music practice rooms.